Before using search by title name, please check out examples how to use it properly bellow. Drag & drop your video file in this area. It will automatically start searching subtitles after video file will be added. Result will be just one title with subtitles matched to video file in case we matched your file to subtitles, otherwise we try search based on your filename and results will be like in text search. 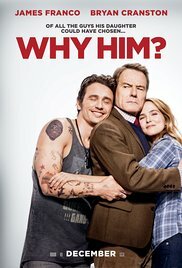 Try more subtitles for Why Him? How to use search by title name? S03E01 - Fear.the.Walking.Dead.S03E01.HDTV.x264-SVA.mkv - bad due leading "S0301 - "
We ignore all words which have less than three characters. Search by uploading or drag and drop video file have mostly results of better quality. All special characters will be ignored. Allowed characters are only letters and numbers. Searches starting with most common words are a bit slower - like "The ...". It is an issue, we will work on that.